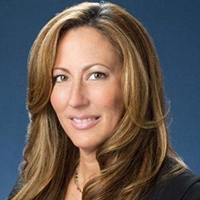 Ana Ceppi is Senior Vice President, Hispanic Strategy and Client Experience, NBCUniversal, where her mission is to partner with marketers and content creators to maximize the Hispanic marketplace potential in the continental USA -- from strategy; to products; to go to market deployment. Ana has over 20 years of experience in the media and marketing fields, including time as both a client (Amex) and agency leader (McCann; Grey). From 2011 to 2017 Ceppi was the VP of Business Development for Univision Communications Inc. (UCI). There she focused on the healthcare and financial services verticals and acted as an embedded consultant for marketers to understand the value of the largest growth lever in the domestic USA. Prior to joining Univision, Ceppi was VP, Global Advertising and Brand Management at American Express, where she led all 360 strategy and communications for seven lines of business in 10 markets in 14 languages. This included consumer, small business, merchant and brand product teams. Over the course of her career, Ceppi’s communications campaigns have reversed declining brand attribution metrics and increased acquisition for focus products during the 2007-2011 recession. Ms. Ceppi’s marketing campaign collaborations have received numerous international awards including a 5 Effie's, 3 AME's, Pianini and an Echo, among others. Ana is a graduate of Syracuse University’s Newhouse School of Communications and lives in Greenwich, CT with her bicultural family.